With an artist’s romantic eye for the eccentric, Northern California painter Ira Yeager gathers exuberant collections of furniture, antiques, curiosities, and rare objects in his Calistoga studio, country pavilion and barn. 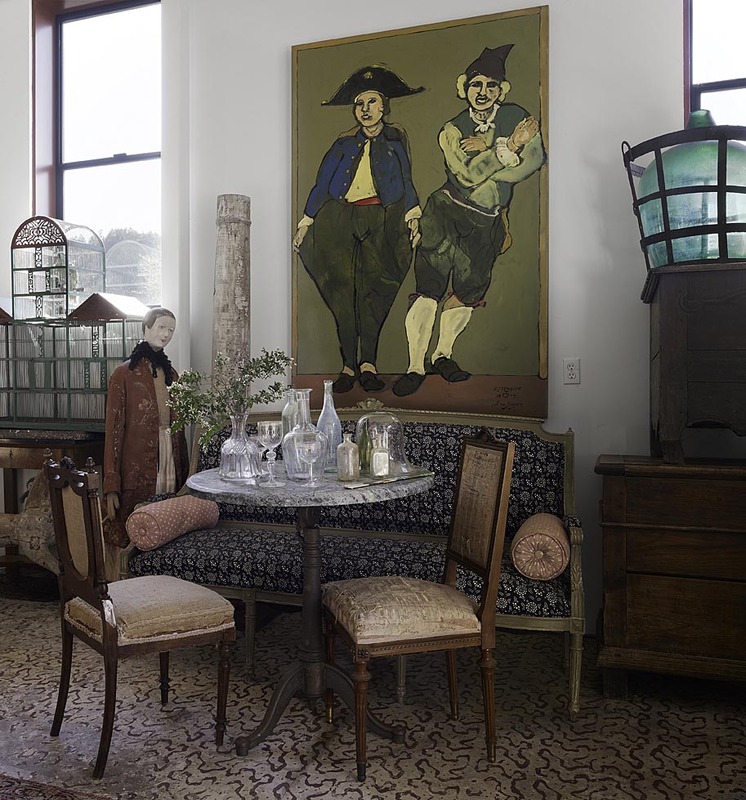 Both inspiration and décor, his collections set the scene of his privateNapa Valley world. Come with me for a private visit to this prolific painter—and be inspired. Ira Yeager, dressed for a dinner party at Clarke and Elizabeth Swanson’s house in the Napa Valley, wears a custom-crafted shirt he acquired at the Town School Clothes Closet, his favorite San Francisco thrift haunt for his wardrobe. In the wild green hills north of Calistoga, artist Ira Yeager has built a pleasure pavilion for art, music, lavish feasts, and summer frolic. 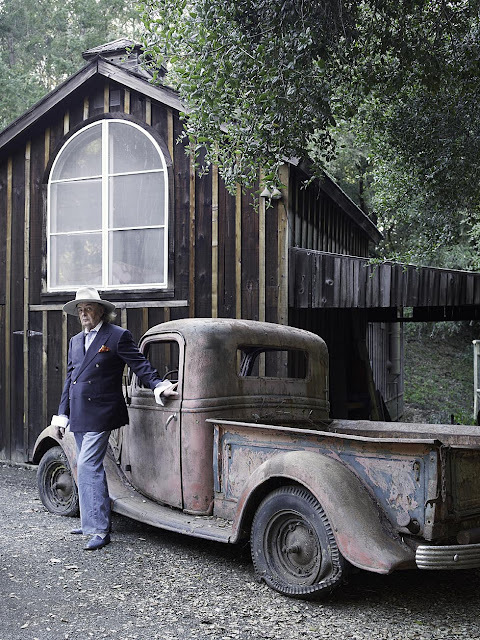 Nearby are his redwood studio and his soaring red barn—and all three are backgrounds for the artist’s gregarious (and prolific) life. 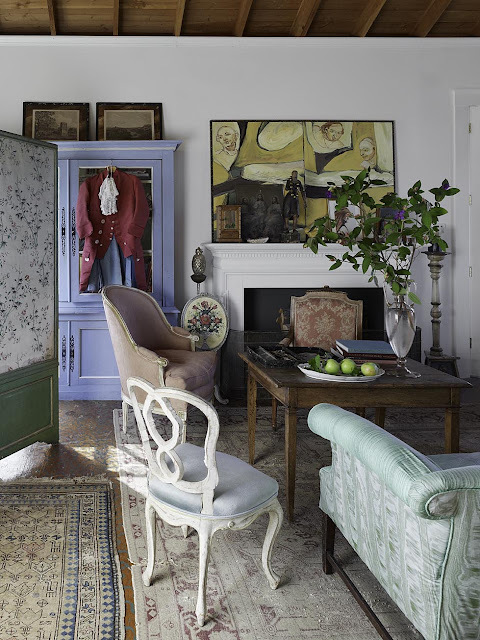 The Gustavian folly is a venue for an eighteenth-century Swedish cabinet, antique Italian and French chairs, and a Venetian glass vase. The plywood floor was ‘marbleized’ with marine paint and stencils. 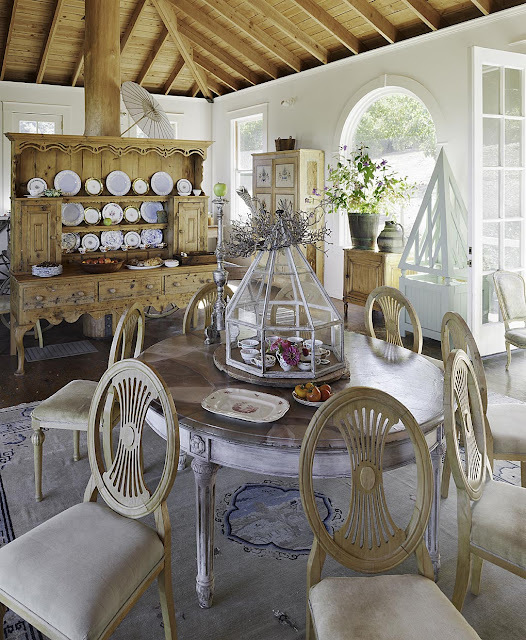 Step into Yeager’s dreamy Gustavian-style country house and it’s like tripping into the 18th-century. Yeager greets guests wearing a handsome nipped-waist cutaway crimson jacket made in 1776 for a French nobleman. He reposes on a languorous down-filled Provencal chaise longue, dines on elegant French porcelain plates, and displays his French silver teapot on a superb French marquetry desk. Yeager happily admits that he is obsessed with 18th-century France. So much so that he paints lively gala scenes and portraits inspired by that fabled French century, and he surrounds himself with 18th-century French antique cabinets and gueridons, portraits, and objets (shipped from France by his dear friend, antiques dealer Lillian Williams). Arched windows in the pavilion overlook vineyards. The grapes, intensely flavored from the volcanic soil and sunny terroir, are in demand among local winemakers. Yeager’s motto for his French chaise longue and painted table: ‘nothing newer than 1812’. 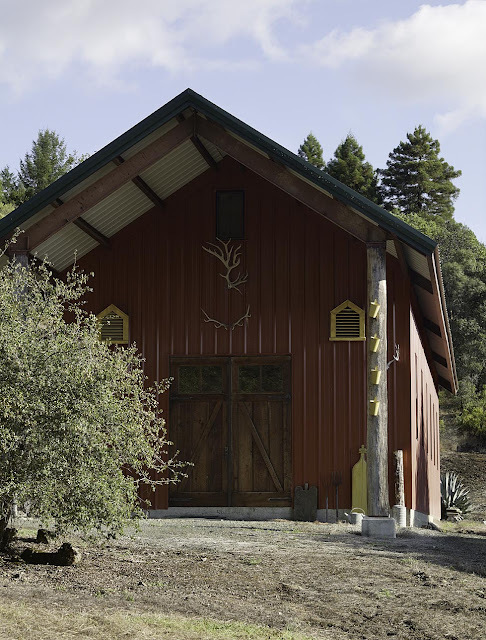 After leaving his San Francisco studio to live and paint in the Wine Country twenty years ago, Yeager came upon a neglected walnut orchard in a remote valley north of Calistoga. He decided to build a Swedish cottage in the Gustavian style. 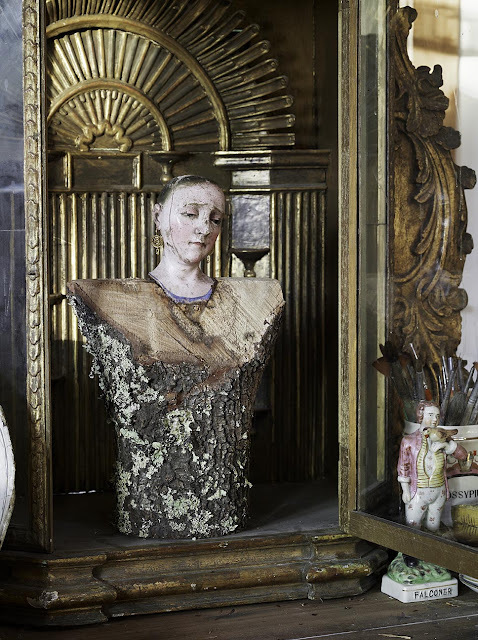 The pale gray Gustavian folly surrounded by five acres of flourishing walnut trees encrusted with pale green lichen makes a dramatic bucolic scene, with deer nibbling tender grass shoots and doves nesting among the gnarled oaks. Yeager’s art today is passionately engaging, but it’s clear that the true métier of this painter is recreating the past. 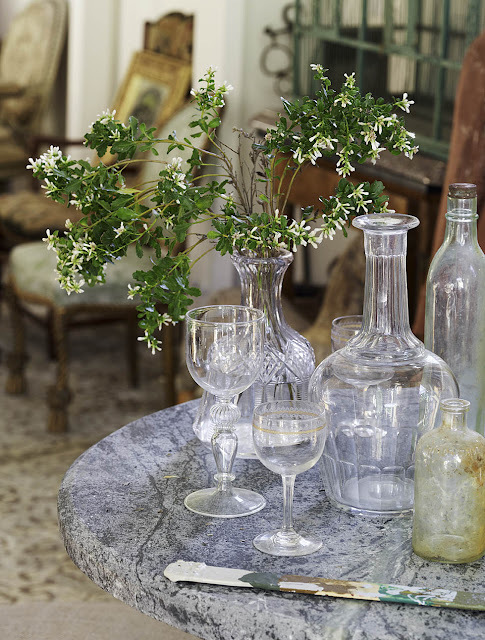 He loves antiques, especially French pieces with interesting provenance. Yeager has been making his mark on the San Francisco art scene since the fifties. He grew up in Bellingham, Washington, and studied art first at CCA and later at the San Francisco Art Institute with teachers such as Richard Diebenkorn, Nathan Oliveira, and Elmer Bischoff. In the sixties and seventies, Yeager studied and painted in Italy, Paris, and Morocco and he lived for a decade on the island of Corfu, off the coast of Greece. 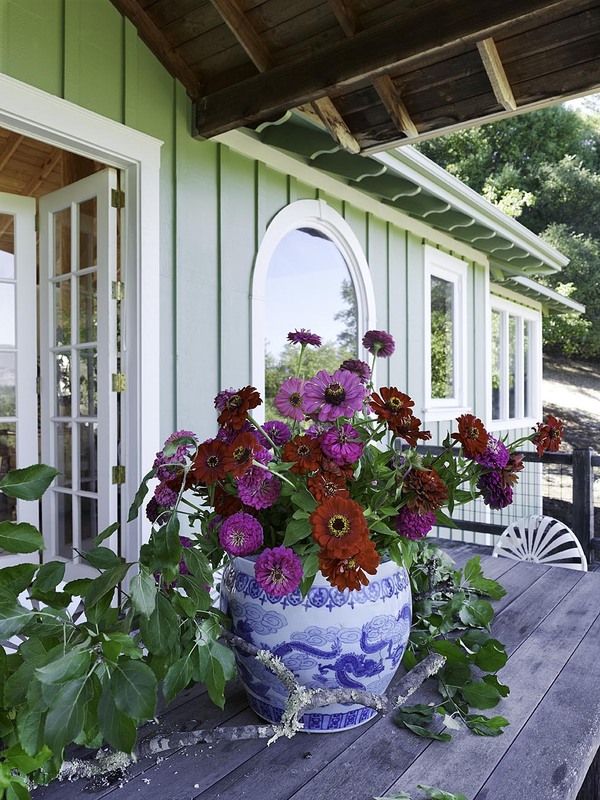 Zinnias from his garden sizzle in an antique Chinese urn on the deck of the pavilion. The neoclassical Gustavian style, which flowered in Stockholm in the late 18th-century, was directly inspired by the 18th-century architecture and decor fashionable in France at the time of Louis XVI, a hero of Yeager’s. The French-inspired Gustav III is one of Yeager soul mates. The present is picture-perfect. But for Ira Yeager there is always his brush with the golden and glorious 18th-century. The redwood studio has all-day sun. Just as well. Yeager is an all-day painter. 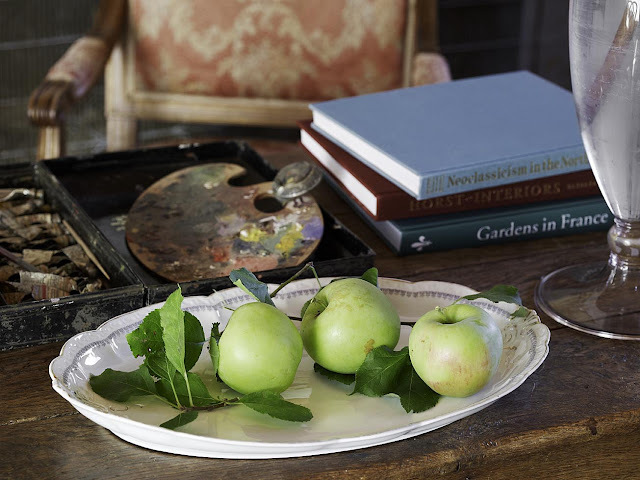 In his paint-scented studio Ira Yeager stacks recent oil paintings, juxtaposed with delicate antique French and German porcelains. Dust is his mood-altering friend. 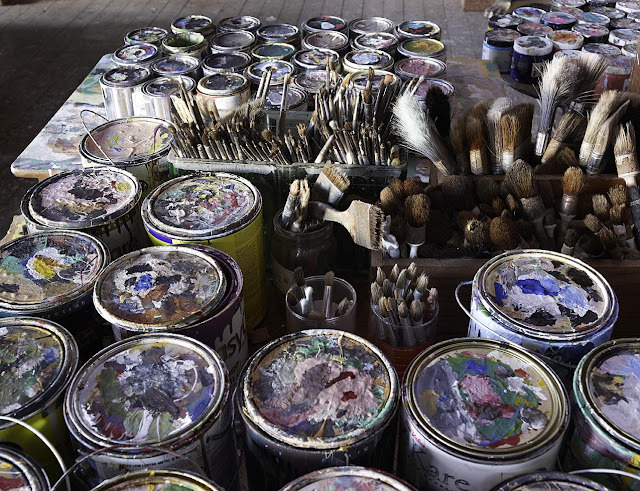 Every day, Napa Valley artist Ira Yeager wakes with the sparrows and works until dusk in his paint-spattered studio. As sunlight flickers through tall windows, he paints alluring Indians, elegant costumed 18th-century French princes, California landscapes, and Swedish countesses at costumed balls. “History for me stopped in 1812, and I’m besotted with eighteenth-century Europe and long-ago California,” said Yeager. An Italian gilded niche with saint. In the studio, new painting completes, amid a certain orderly chaos. 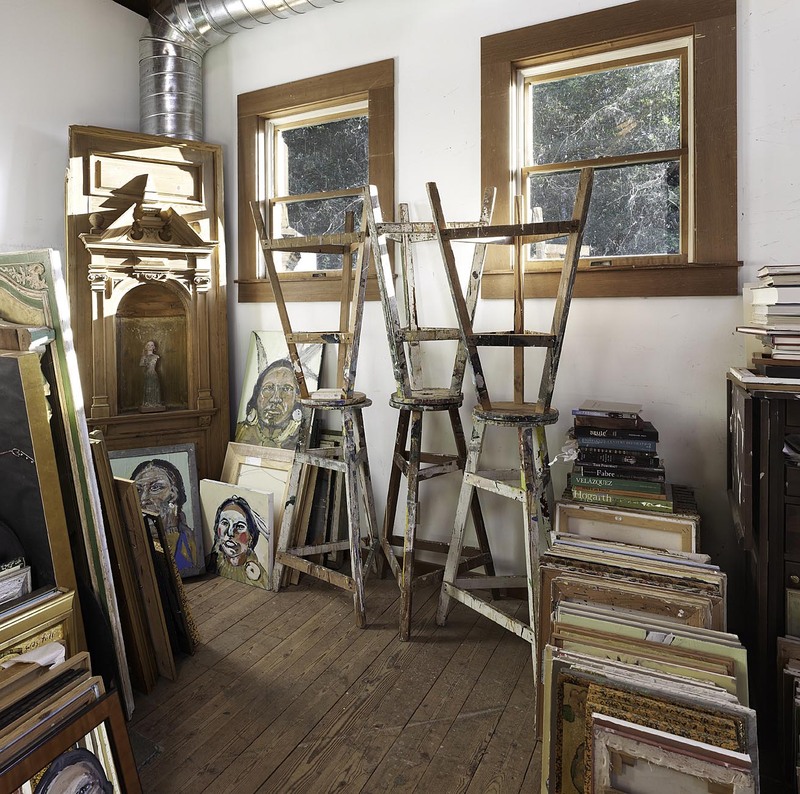 From the rustic Calistoga headquarters, Yeager’s studio manager, Brian Fuller, ships canvases to avid collectors and galleries in Aspen, Carmel Valley, Santa Fe, Houston, New York, Beverly Hills, London and Mumbai. 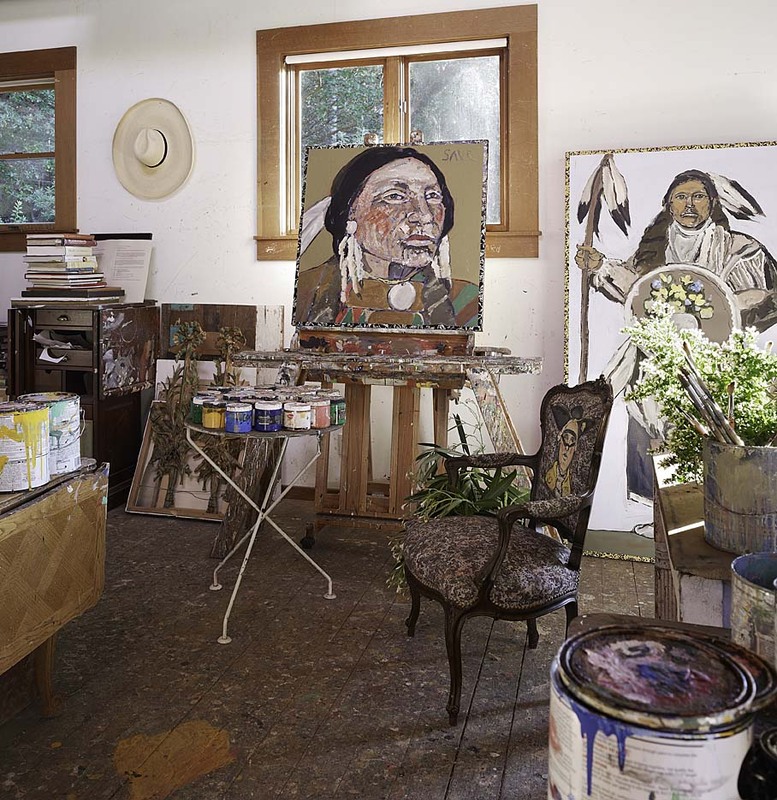 Yeager’s works have been exhibited around the country, and he always seems to have an exhibit at any moment in a California gallery. Yeager recently released, with Berkeley publisher Peter Koch, ‘Paul Bowles 2137 Tanger Socco’, a lavish shocking pink boxed compilation of Yeager’s letters to writer Paul Bowles over four decades. It’s illustrated with original portraits, in a limited edition of twenty-five. 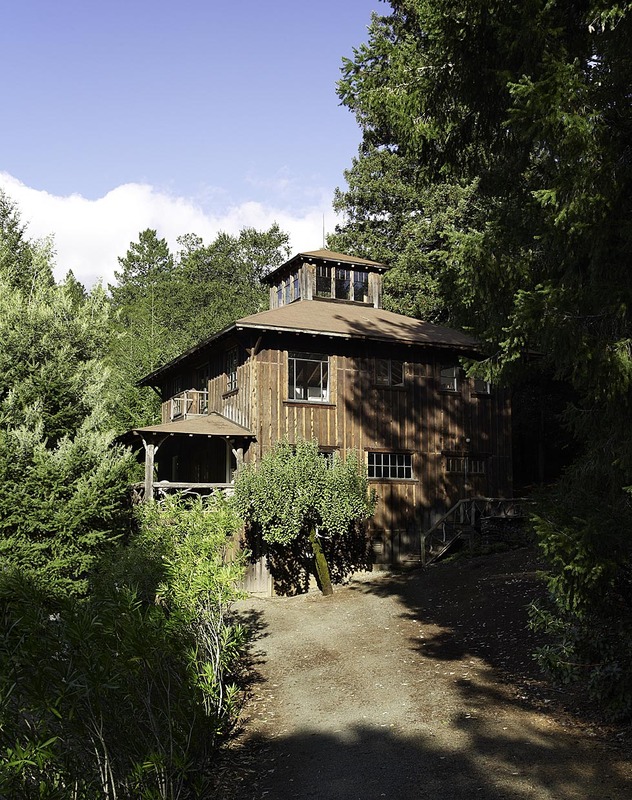 He’s twenty minutes from the town of Calistoga, but it feels distant. Mountain lions stalk across his meadows, and deer tiptoe through the walnut orchard. Yeager’s redwood board-and-batten studio, built like all of his follies by Calistoga contractor Richard Horwath, reaches high into the surrounding ancient oaks. Topped with a jaunty cupola, it lights up like a magic lantern on a summer afternoon. 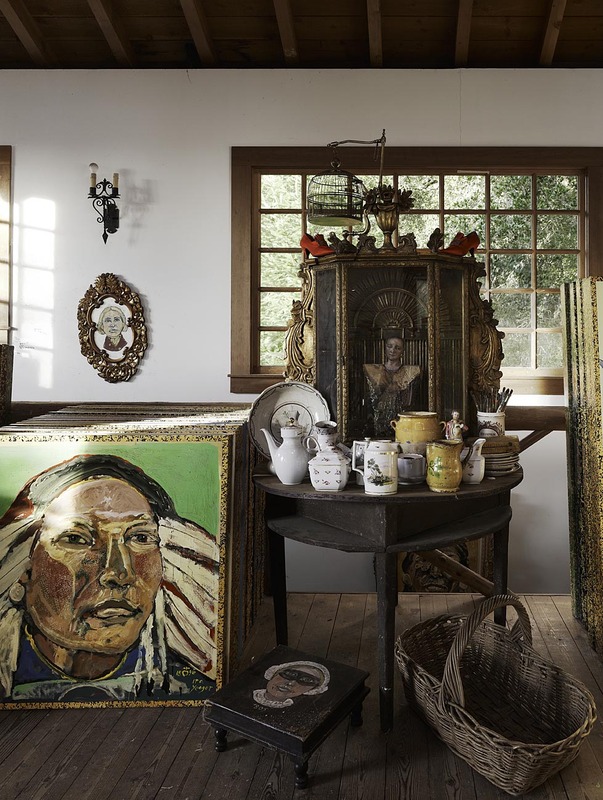 Yeager’s dramatic red barn is used as a painting studio, for impromptu entertaining, and to display his artfully arranged collections, some precious, some eccentric. 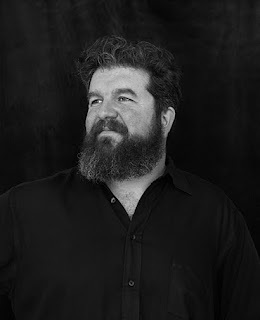 Contractor: Richard Horwath. An architectural fragment plays stage for vintage albums and a Chinese birdcage. Half a mile away, surrounded by manzanitas, stands the red barn, built from a Swedish-style barn kit and shipped west from Alabama. 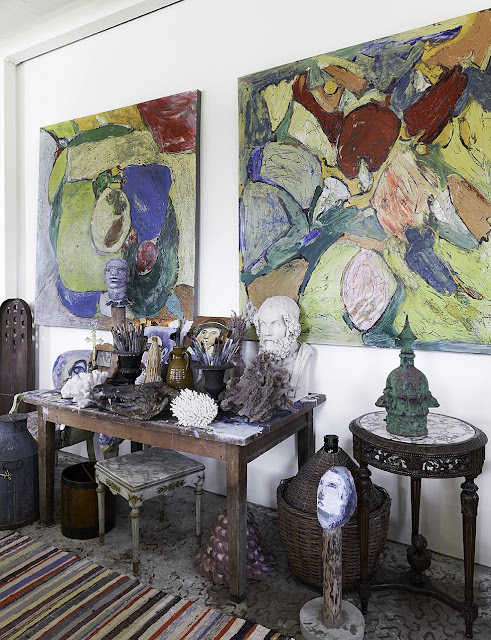 Abstract paintings, intentionally paint-laden, create a colorful contrast with a farm table gathering of forty years of curiosities. A painting by Yeager hovers above a marble-topped French table topped with crystal. On weekends, friends from San Francisco and the Napa Valley arrive bearing bottles of wine from their estates, as well as artisan cheeses and baguettes, and gossip from the city. 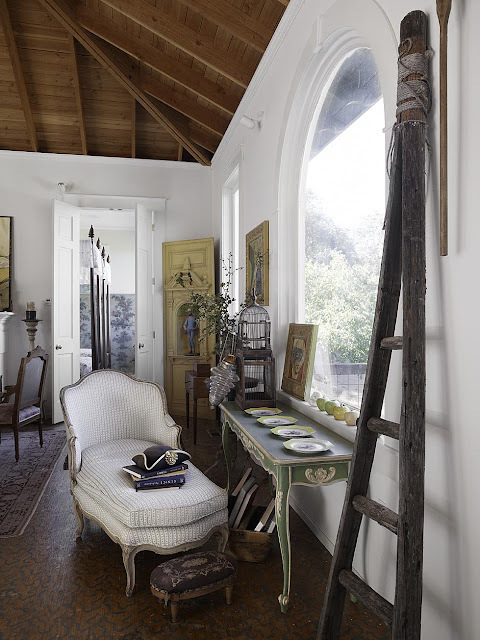 Equally unstoppable, when Yeager steps out of his studio, he’s sleuthing through Petaluma antiques galleries for gilded French antique chairs and rattling around San Francisco flea markets in search of Meissen porcelains. 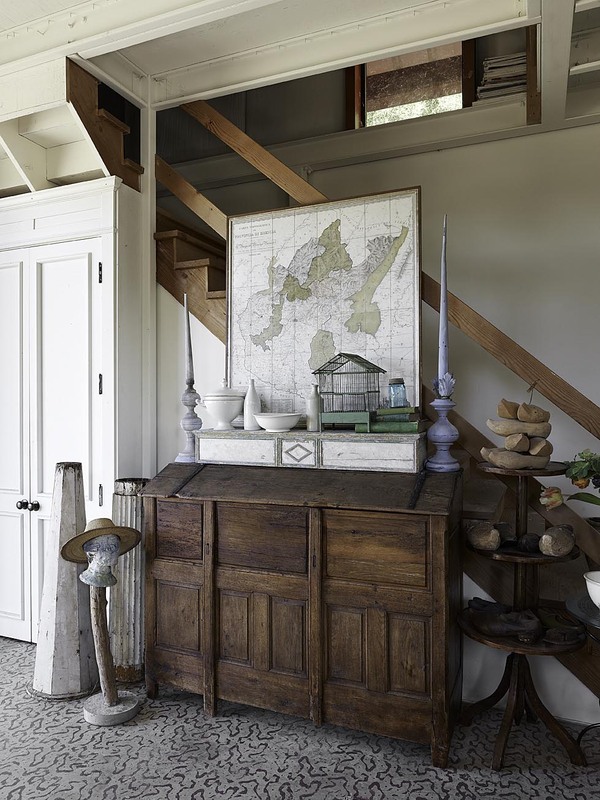 He recently found a set of twelve delicately carved ballroom chairs from Antique & Art Exchange in San Francisco that now adorn his pale grey pavilion. 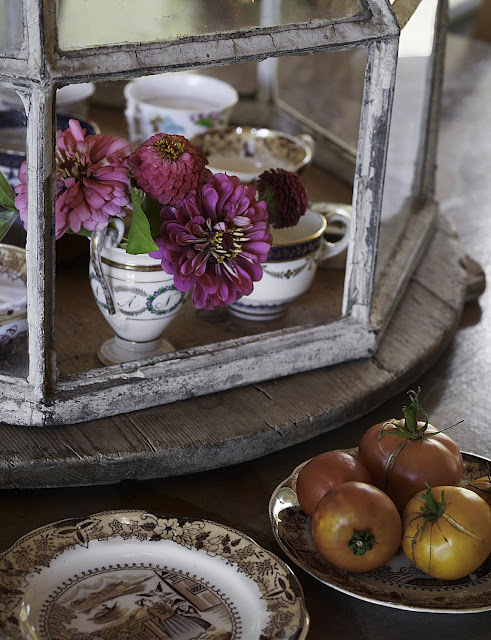 New finds cluttering an old farm table include delicate Venetian wine glasses, an eighteenth-century French nobleman’s crimson silk jacket with the original carved mother-of-pearl buttons, a cache of French cut crystal carafes from a Bordeaux chateau. The peripatetic Yeager has painted in Morocco, Corfu, the South of France and Paris. Adrian Gregorutti with both a European and South American background brings his great talent and diverse sensibilities to his work photographing wineries, architecture, interiors, historical buildings, people and art. He lives in Rutherford, in the heart of California’s Wine Country. How am I possibly the 1st commenter? Artist and his photographer AND your writing. You've hit this blogpost ball out of the park. What a delightful and interesting article on Yeager. 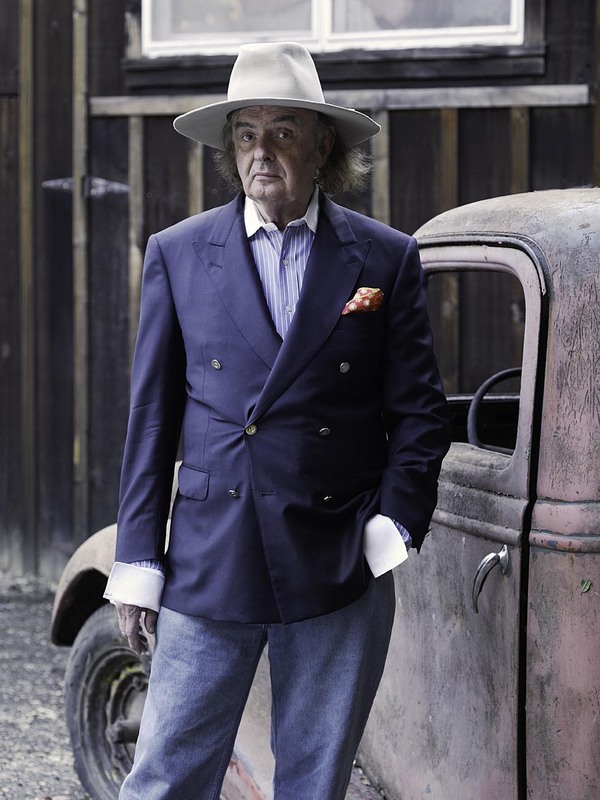 His is a very accomplished artist and his style of living and dress and way of life lives up to his profession. I love his style and his joy for life and living. He is one I would love to be sitting next to on a long, long flight. You have to love a man in a blazer and a truck! Wonderful article and visuals...always love the places you choose to show us..the epitome of armchair travel. I have all your books and find them wonderful inspiration for my home and my art. Hello, Tara, over there on the East Coast...this is not the usual view of California! Yes...I am happy to be the traveler so that you can 'armchair travel'...and I hope later take that route. 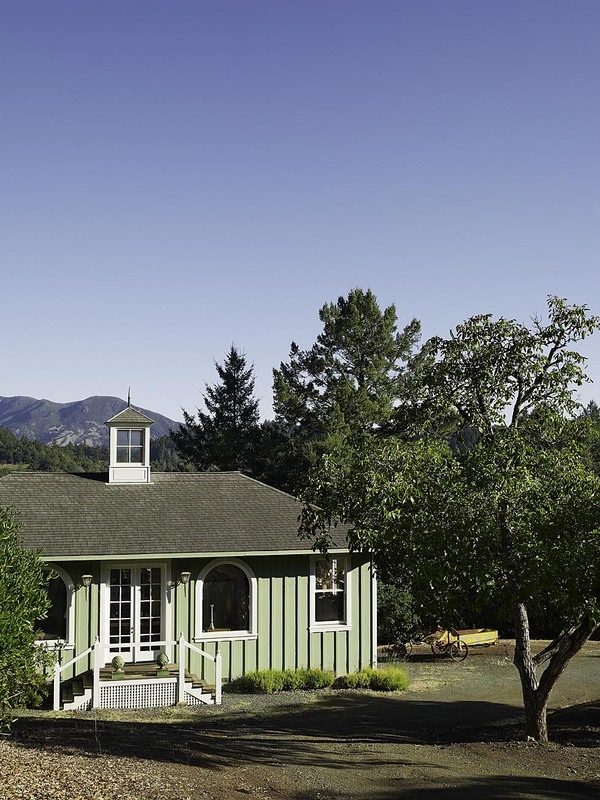 If you are in the Napa Valley, by all means contact ira...and go and visit. He would love it. I have loved his work since I first spotted it at the now defunct showroom at the design center that I will not mention....amazing talent..his work speaks to me like no other...but that is just me. What a fabulous guy. Such talent and style. You really show blog-world how it SHOULD be done! I cannot believe LILLIAN W. is still with us!Does she have a BLOG or Website?Loved this post!I remember her shop from my youth in San Francisco! I'm thrilled that you all love this story--and each of you sees it differently. I've also had wonderful comments from my friend Suzanna Allen, and my dear friend Margot in Munich, and from my Facebook pals. Yes, Lillian Williams is alive and living in western France in Normandy I think. Still friends of Ira's. He sells lots of paintings...all over US. He loves painting..it is his life. He has millions of friends. He's witty, charming, fun, a quite good cook with things fresh from the garden--and an impromptu entertainer. He is a member of THE NAPA VALLEY RESERVE...very private and very special wine club at Meadwood that I love...and he entertains there often. Stay in touch dear friends--I adore your enthusiasm and your comments. Give Ira a call...through the website...and see if you can go and visit...I know he would love it. He dines well and often...and grows his own veg and I can tell you his tomatoes are so delicious. What a terrific post! Such an interesting artist. I love the contrast between his art and his home... N.G. This post is a dream! So glad i happened upon it.. I will promptly follow so as not to miss another thing! Wonderful interview. Ira is a classic individual! Lillian and Ted are very much alive. I visited with them at their gorgeously decorated pied a terre in Paris last week. Very charming couple and so extremely knowledgeable. We spent all day discussing the 18th century. Days before I was at their folly in Normandy. It seems as though they only visit there a few weeks out of the year during the summer. I would grab it up in heart beat if only I had the funds! Oh My! What an incredible experience to interview and visit with Ira Yeager. Thank you so much for sharing such a wonderful post. At first photography was the major appeal in this post and then...words made the images come to life!